By Charles J. Ogletree, Jr.
You could almost say that the Brown v. Board of Education decision was providential, an act of God. In 1953, a year before Brown was decided, a majority of the justices on the Supreme Court were prepared to reaffirm the awful doctrine of Plessy v. Ferguson, which since 1896 had held that laws separating the races did not contradict the Constitution's promise of equality. The chief justice of the Supreme Court in 1953 was Fred Vinson, a Kentucky native, and one of five justices who did not believe it was time to overrule Plessy and the doctrine of separate but equal. But on September 8, 1953, Fred Vinson died. Felix Frankfurter was among those on the court who had debated separate but equal with Vinson. Hearing of Vinson's death, Justice Frankfurter told his law clerk, "This is the first indication I have had that there is a God." The vacancy created the opportunity for President Dwight Eisenhower to appoint Earl Warren as chief justice. A former Republican governor from California, Warren had been the attorney general of California responsible for promoting and overseeing the internment of more than 100,000 Japanese-Americans in the 1940s. But Warren would later lead the U.S. Supreme Court toward the Miranda ruling, which established legal rights for arrested persons; and toward its decisions in Gideon v. Wainwright, which confirmed the right of the accused to legal representation, and Mapp v. Ohio, which confirmed the right to have evidence excluded if the government breaks the law in trying to arrest a suspect or seize evidence. And, in his first year as chief justice, Warren wrote the Brown ruling. Brown raised the question: Does the segregation of school children solely on the basis of race deprive children of a minority group of equal education opportunities even if physical facilities and other tangible factors may be equal? The court's answer: We believe that it does. The court concluded that "separate but equal" led to inherently unequal opportunities. Most people aren't aware that Brown is two cases. 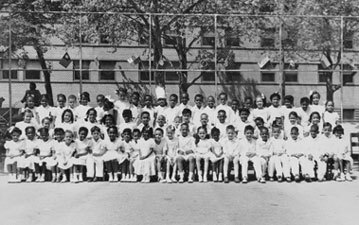 The first and unanimous ruling struck down school segregation on May 17, 1954, without issuing orders on how to bring the practice to an end. The second Brown decision, a year later and also unanimous, is significant because even though the court again decided to end segregation, it did so in a complicated and controversial way. The court ruled on May 31, 1955, that the federal courts must "enter such orders and decrees consistent with this opinion as are necessary and proper to admit to public schools on a racially non-discriminatory basis with all deliberate speed the parties to these cases." The legal team of Thurgood Marshall, Robert Carter, Oliver Hill, Constance Backer Motley, Spottswood Robinson, Jack Greenberg, and others, had won again, and they were celebrating their great victory—until a young African-American secretary looked up the world "deliberate" in a dictionary and figured out it meant "slow." And indeed, it turned out to mean not just "slow," but "cautious," "wary"; deliberate in the sense of "ponderous" or "awkward," as if each step in the implementation was taken in pain and at great cost. Progress toward racial equality and integration may have been slow; but resistance came quickly. In March 1956, some 19 U.S. Senators and 81 representatives signed a "Southern Manifesto," which they placed in the Congressional Record, saying they'd use every lawful means to resist integration. In 1957, Arkansas governor Orval Faubus sent the Arkansas National Guard to Little Rock Central High to block the entry of black children. Alabama governor George Wallace, who took office in 1963, built his political foundation on "segregation now, segregation tomorrow, segregation forever." In some places, such as Virginia, more than a decade would pass before the court's demand would be addressed. In fact, in parts of Virginia, and in some southern cities, including Little Rock, officials simply closed the public school systems. THE ORIGINAL strategy to end school segregation was the work of a brilliant lawyer named Charles Hamilton Houston. He was a Washington, D.C., native, an Amherst College graduate, a Harvard Law School graduate, and in 1922 the first black to sit on the editorial board of the Harvard Law Review. He was also the first black to receive an SJD, the highest degree in the field of law. And yet he could not find suitable employment at a law firm anywhere in the country. So he went back to his father's practice in Washington, and to Howard University Law School, where he took a job as the vice dean. There he trained a generation of lawyers for the fight against discrimination. He had a simple philosophy: I'm going to train the best and the brightest to change this society. He liked to say a lawyer had only two options: To be a social engineer or a parasite; there's no middle ground. And indeed, he trained engineers. Like most people who grew up in the civil rights era, it's really difficult for me to separate my personal story from the Brown decision. I grew up in Washington, D.C., which during that time was a segregated community. Not only were our school systems segregated, so were our hospitals, our restaurants, our movie theaters. There were many department stores that we couldn't shop in, and we certainly couldn't play in the local amusement park. One of my most vivid childhood memories is of May 17, 1954. I had just turned eight years old, four days before. I was home with the mumps, a childhood disease that no longer exists. My dad came home with a cold bottle of champagne. He poured a glass for my sister, who was 10, and he poured one for me. He told us he wanted us to raise our glasses, that he wanted to toast us—because as of today, he said, the world was ours, and we could be anything that we decided we wanted to be. And then he sat down and explained to us the Supreme Court decision that had been rendered earlier in the day. 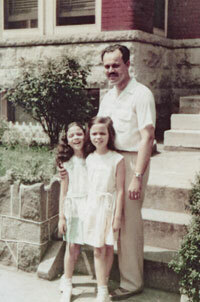 My sister and I are among those who have been the beneficiaries of the Brown decision. She—Sharon Pratt—went on to become mayor of Washington, D.C., in 1991. I came to Boston in 1970, two years after the assassination of Martin Luther King, Jr., as part of the first real wave of African-American students to attend Harvard Business School. Now, 50 years later, I find myself running an organization here in Boston, the Partnership, rooted in the racial strife that resulted from the Brown decision. Although there has been a 31 percent growth in the number of African-Americans living and working in Boston through the decade of the 1990s, there has also been a slight decline in African-Americans holding executive and managerial positions. We work with businesses and organizations to help them more effectively advance talent from within communities of color in our city; and we help the heirs of the Brown decision to develop and become leaders. I still have, I guess, a lot of my dad's hope and excitement and optimism. Benaree P. Wiley is president and CEO of the Partnership, Inc., and a member of the Board of Trustees of Boston College. Her observations are drawn from remarks she delivered at the May 14 forum "Brown v. Board: 1954–2004." Thurgood Marshall was one of them. He argued 32 cases before the Supreme Court, an all-white, all-male court in the 1930s, 1940s, 1950s, and 1960s. He won 29. Robert Carter, the general counsel for the NAACP, argued 22 cases before the Supreme Court and won 21. The only case he lost involved an African-American charged with homicide. Carter was convinced his client was innocent, but the client was executed, and Carter swore to never again handle a criminal case. Leading up to Brown, a group of lawyers, following Houston's strategy, filed lawsuits in five different states. They didn't want the court to easily evade the challenge of facing up to segregation. So they filed in South Carolina, but they also filed in Topeka, Kansas. They filed in Virginia, but also in Wilmington, Delaware, and in the District of Columbia. Their goal was to make the evidence of segregation so overwhelming that the court could not ignore its impact on the lives of black children. I am one who would not be here, who could not be here, who could not imagine being a college graduate, a law school graduate, or a law professor but for the sacrifices of those great lawyers. I stand on their broad shoulders. My own parents did not finish high school—my father went to fourth grade, my mother went to 10th grade. My grandparents had no formal education. They all grew up in the South with no right to vote, no right to dine in restaurants, no right to stay in hotels. They lived in an America just 50 years ago that is radically different from the America I live in today. That's not to imply that segregation was a southern problem. It was and is a national problem. That came home to me when my wife and I left California after we graduated in 1975 from Stanford, and I came to train at Harvard Law School. As we arrived here, I was driving up Interstate 93 and my wife was telling me "follow directions" and I was saying, "I know where I'm going." I knew exactly where I was going: I was going to Cambridge. Well, I got lost. I called the landlord and told him, "I know I'm near, but I don't know how to get to Cambridge." He said, well, describe where you are. What do you see? I said, "Well, I see Paddy's Liquors, I see O'Reilly's Restaurant, I see . . ." He said, "Get back in the car!" We had arrived in South Boston. Here we were in 1975, 21 years after Brown, in Boston, once the stronghold of abolitionists, the place where Crispus Attucks was the first to take a bullet in the Revolutionary War, a city in the North. 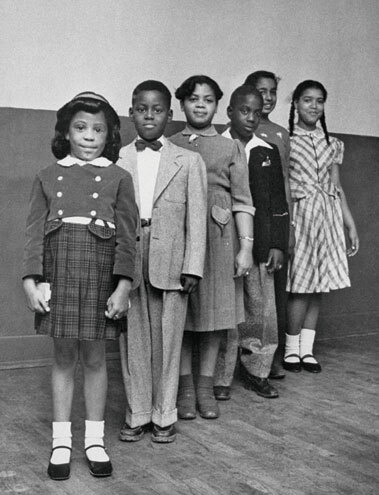 But now it was a city wrenched by the idea of integration, where black children were being taunted in their school buses, were being denied the opportunity to get the quality education promised in 1954—two decades before. It was clear to me that we still faced the problems created by the decision to move with "all deliberate speed." Thurgood Marshall once said that we have to find ways for "all of our children" to succeed. As a Supreme Court justice himself, Marshall dissented in the Milliken v. Bradley case in 1974, a ruling that denied an effort to balance educational opportunities for black and white children in Detroit by requiring equal funding among school districts. He said then, "We deal here with the right of our children, all of our children, whatever their race, to an equal start in life and to an equal opportunity to reach their full potential as citizens. Those children who have been denied that right in the past deserve better than to see fences thrown up to deny them that right in the future. Unless our children begin to learn together, there is little hope that our people will ever learn to live together." Those were his prophetic words in 1974. And as we look at America today, as we look at Boston or Chicago or New York or Detroit or Los Angeles or Houston or Philadelphia or Washington, D.C., we see more segregation in our public schools in the year 2004 than we saw in 1954. The challenge before us is to fight efforts to resegregate America. That means rejecting once and for all the idea of desegregation through "all deliberate speed" and instead embracing our country's creed, that we're all part of one nation, under God, indivisible, and that we believe in liberty and justice for all. If we do that, we will achieve the great goal of Brown: equal and quality education for all our children. Charles J. Ogletree, Jr., is the Jesse Climenko Professor at Harvard Law School and author of All Deliberate Speed: Reflections on the First Half Century of Brown v. Board of Education (2004). His essay was adapted from a talk given at a Boston College forum on Brown v. Board sponsored by the Office of the President at the Robsham Theater on May 14, 2004.